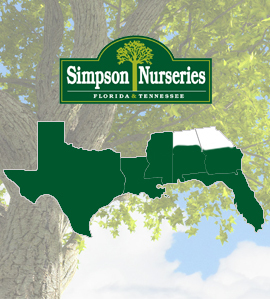 Simpson Nurseries produces pecan trees, fruit trees, shade trees, flowering trees, deciduous shrubs and evergreens, amoungst our general nursery stock. Our basic planting guide is here for your convenience. Start by selecting the variety that coincides with your order or interest. The guides are here to help you through the first year and beyond so please refer to them as often as you need. What pecan variety is right for you? Browse our comprehensive guide to find information about the many varieties of pecans we grow. *Note: Not all varieties are available every year and are subject to discontinuation without notice. 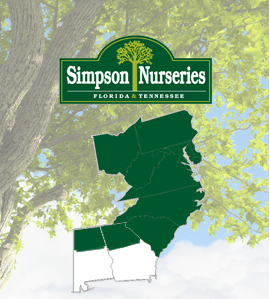 Our crape myrtles are sold in many home & garden centers across the United States. Read more to find out information regarding the brands and types of flowering crape myrtles we grow. 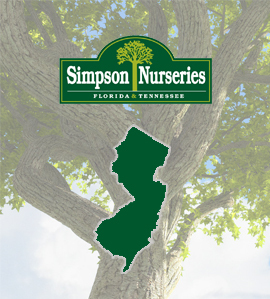 Simpson Nurseries is regarded nationally as a leading source of pecan trees, deciduous nursery stock and evergreens — products it wholesales primarily to retail nurseries, landscapers, mass merchandisers and pecan plantations. Our company is a recognized pioneer of many innovative technologies, production methods and marketing ideas that now are industry standards. 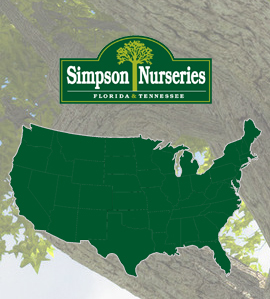 Accorded the distinction of being Florida’s oldest nursery, Simpson’s millions of shrubs and trees of every color, size and description rank it among Florida’s top nurseries. 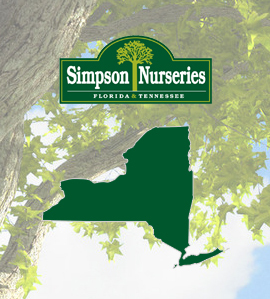 Simpson Nurseries 800+ acre container tree production area includes over 1.5 million deciduous trees and shrubs ranging in size from 4 inch to 100 gallon. Our big tree program includes any container over 15 gallons and up to 100 gallons. 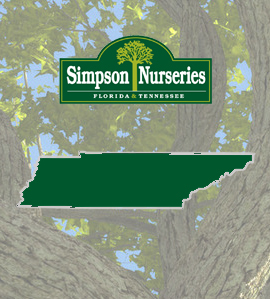 Trees of this size are primarily used for landscaping and are generally 3-5 years old. 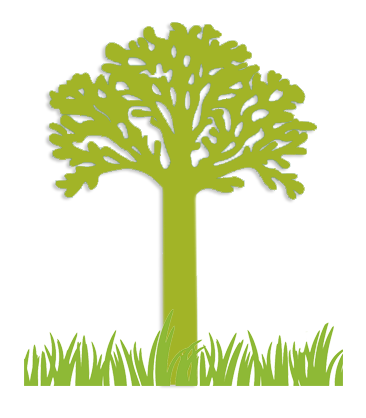 We are primarily a container tree farm but also offer seasonal categories, such as bare root and packaged trees, as opportunities present themselves. We are the oldest pecan tree growers in the United States. Each year 20 acres of the nursery are planted for pecan tree production. We sell pecans as both bare root and container. Fruit trees are our biggest seller, ranging in container sizes, and varieties. 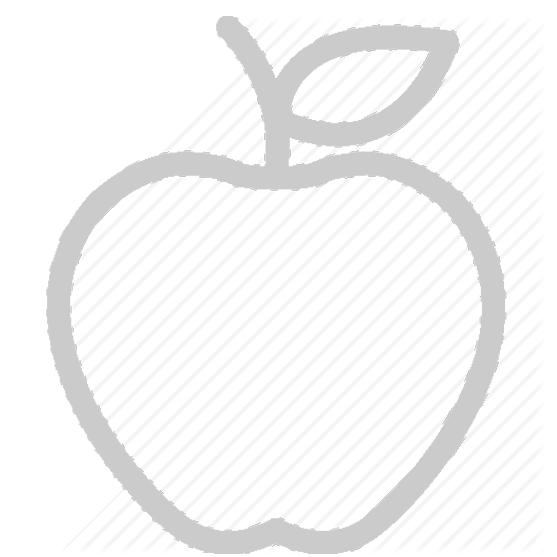 Apples, persimmons, pear, peaches, and fig are just a few of the expansive list we sell. 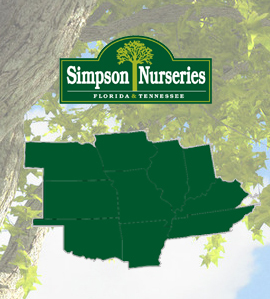 Simpson Nurseries is the largest Crape Myrtle provider in the Eastern United States. We grow the best new branded programs such as the First Editions Magic series and Black Diamonds. Not a wholesale buyer? Want to purchase just a few plants? No problem. Shop our online retail store and have our plants shipped right to your door. 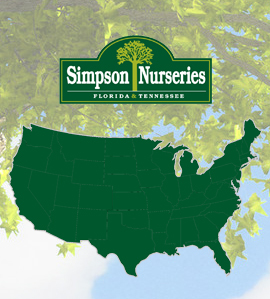 Simpson Nurseries mission in the horticultural industry is to assist our customers by supplying the finest full line of trees, shrubs and evergreens thereby helping them promote the green industry throughout the United States. Copyright © 2018 Simpson Nurseries All Rights Reserved.